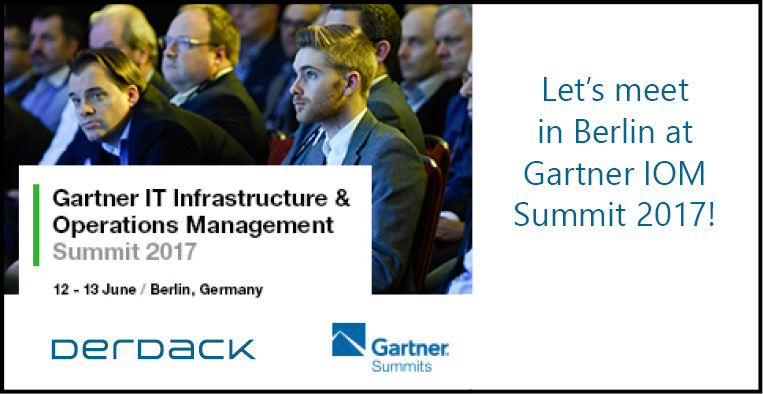 Let’s meet in Berlin at the Gartner IT IOM Summit! Talk to our experts and experience first-hand how Derdack boosts productivity of IT operation teams at leading European and US enterprises. Derdack’s intuitive and mobile solutions automate alerting processes, ensure important alerts are not missed and intelligently manage shifts and handovers. Learn how leading organizations have become more effective, fully mobile and 10x faster in responding to critical incidents.